Romantica | Zonyxa. Unique and contemporary jewellery for Work. Love. Play. 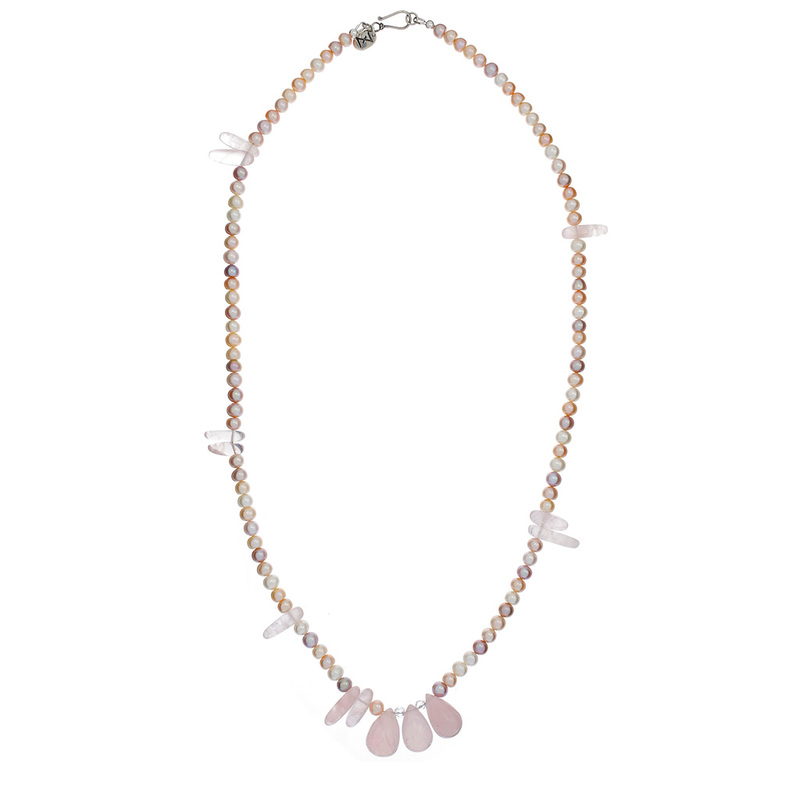 Projecting pure innocence and love, this single strand necklace showcases a harmonious and soothing combination with soft pink overtones. 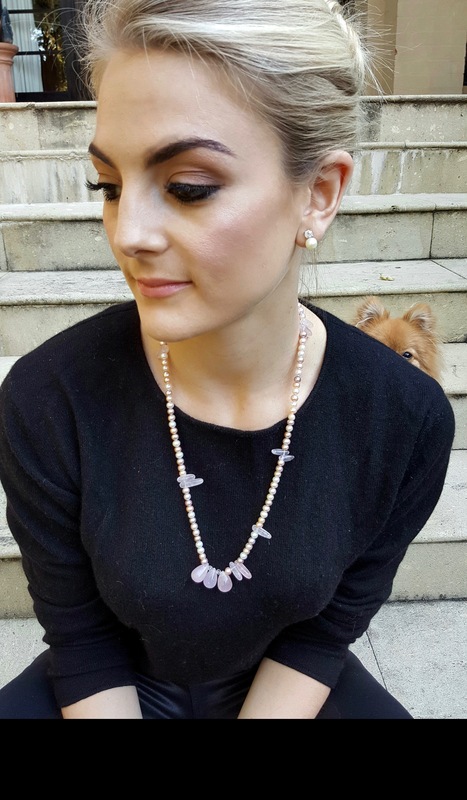 Three teardrops and chips of rose quartz are presented on a rope of clear crystal rounds and freshwater pearls. A perfect gift for someone special – maybe yourself.